1. Courses are taught by Florida-certified teachers. FLVS teachers hold certification in the specific subject area for courses they teach! Homeschool parents may have confidence in one subject area, but not another. FLVS allows families to choose what courses they take with us. When they do, they have a Florida-certified teacher by their side to break down the information and make sure their student is supported. 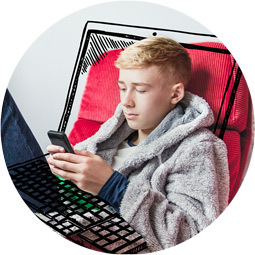 Is your child reaching higher levels of courses with which you may not have experience? 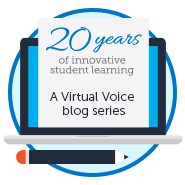 Let our FLVS teachers ignite a passion for learning in this area! 2. Transcripts are provided for completed courses. As a homeschool parent, you have enough on your plate! When your student completes an FLVS course, the final grade will be added to his or her official FLVS transcript which can be sent directly to colleges, universities, NCAA, scholarship entities, your home, and more! 3. Core courses are NCAA-approved. From the practice field to weekend tournaments, student athletes must juggle not only their training, but academics as well. FLVS offers NCAA-approved core courses that can be taken anywhere in the world as our student athletes blaze their future paths! 4. Professional school counselors offer support. Being a homeschool parent can sometimes be overwhelming. Our counselors help with appropriate course placements, academic support, and college/career planning. Don’t lie awake in bed wondering if your student is in the correct course for his or her future goals! FLVS school counselors are experts in their field and can help guide you and your student to success! We provide academic advising, college/career information, testing and more. Your FLVS school counselors are a one-stop-shop for advising! As a school district, Florida Virtual School and its schools are accredited by AdvancED and Southern Association of Colleges and Schools Council on Accreditation and School Improvement (SACS CASI). SACS CASI is an accrediting division of AdvancED. All courses meet the Florida State Standards. As a parent, you can feel confident that your student is receiving the highest level of education that will be accepted no matter what his or her future plans include. 6. Advanced Placement (AP) courses are available. Our students scored 11% higher on overall averages than the state of Florida on AP Exams! Competitive universities love to see students going above and beyond in their curriculum. AP courses are a great way to challenge your student with rigorous, college-level coursework in high school. Students who earn a high level on their AP Exam may even earn college level credit! 7. Students can thrive at any academic level. Do you have a student who excels in one subject area but struggles in another? FLVS allows homeschool families to choose the level most appropriate for their student. Some students may be a grade level behind in one subject area and ahead in another. 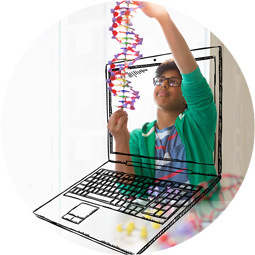 FLVS allows the flexibility to tailor a student’s educational path based on his or her strengths and learning needs. Students who failed a course previously can retake them with FLVS if needed. 8. Students can accelerate through courses. As FLVS courses are available year-round, the learning never stops. Create a schedule that works for your student and family. 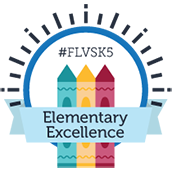 With FLVS Flex, students can start a new course 365 days a year! 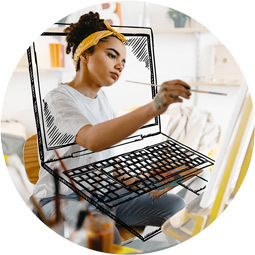 Many students accelerate through courses to earn college credits in high school, graduate early, or make time for their passions beyond academics. 9. Students gain experience with online learning. FLVS courses are created based on the Florida State Standards. Our curriculum experts create engaging and meaningful courses to challenge and captivate your learner! FLVS courses meet the same standards as any other public-school course in the state of Florida. 10. Homeschool families can follow a set schedule. Many homeschool families choose to follow a traditional school schedule and path. FLVS gives students the opportunity to see what a standardized online curriculum looks like, much like what they will see if they choose to go on to college/university. Most students will be likely to take online courses in the future! 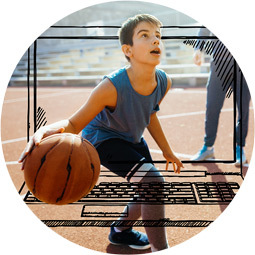 Our fully accredited, Florida public school curriculum and NCAA-approved core courses are what truly sets FLVS apart from most other home ed curricula. Whether you are looking for flexibility or more structure, Florida Virtual School offers solutions that meet your family’s educational goals. Looking for the best match for your family? FLVS may be the perfect solution. Learn more here! This entry was posted in Homeschool Edition and tagged Benefits of Online Learning, Home Education with FLVS, Homeschool Families, Homeschool parents, Homeschooling with FLVS, Online Homeschool, Online Homeschool Curriculum, Online Learning, Pros and Cons to Virtual School, Tips for Homeschool Parents on April 5, 2019 by Anne Flenner.